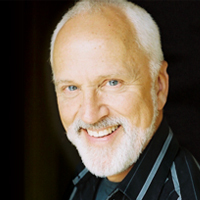 Acclaimed actor, director, composer, and singer John Rubinstein returns to Santa Fe to perform in the Festival’s first-ever production of Walton’s Façade: An Entertainment (see Composer Spotlight). On August 5 and 6 at 6 p.m. in St. Francis Auditorium at the New Mexico Museum of Art, Rubinstein, along with award-winning soprano Lucy Shelton, recites poetry by Edith Sitwell while conductor Lawrence Foster leads seven musicians in a performance of the avant-garde work, which premiered at Aeolian Hall in London on June 12, 1923. Rubinstein was born in Los Angeles, California, on December 8, 1946, to Polish-born parents. His father was the world-renowned concert pianist Artur Rubinstein, and his mother, Aniela, was a dancer and writer and the daughter of Emil Młynarski, founding conductor of the Warsaw Philharmonic Orchestra and principal conductor of the Scottish Orchestra (a precursor to the Royal Scottish National Orchestra). After graduating from Collegiate School in New York City, Rubinstein returned to California to study theater at UCLA. While in school, he launched his acting career with roles in Lerner and Loewe’s musical Camelot, the film Journey to Shiloh, and TV shows such as Dragnet and The Virginian. In 1972, five years after he graduated from UCLA, he made his Broadway debut to great acclaim, originating the title role in the Bob Fosse–directed musical Pippin, which earned him a Theatre World Award. Rubinstein’s star turn in Mark Medoff’s Tony Award–winning 1980 drama Children of a Lesser God cemented his status as a Broadway legend. His portrayal of “James Leeds” opposite Phyllis Frelich as “Sarah Norman” earned him Tony, Drama Desk, Los Angeles Drama Critics Circle, and Drama-Logue awards. He was nominated for another Drama Desk Award for his role as “Lt. Barney Greenwald” in the 1983 revival of Herman Wouk’s The Caine Mutiny Court-Martial, and, in 2005, his performance as “George Simon” in Elmer Rice’s Counsellor-at-Law earned him the Lucille Lortel Award for Best Lead Actor in a Play as well as nominations for Outer Critics and Drama League awards. Rubinstein also starred in David Henry Hwang’s Tony Award–winning play M. Butterfly; the musical Ragtime, directed by Frank Galati; and two Mike Nichols–directed plays: Neil Simon’s Fools and David Rabe’s Hurlyburly. In 2014, he joined the Broadway revival of Pippin as the title character’s father, and in 2017 he originated the role of “Grandpa Joe” in the musical Charlie and the Chocolate Factory. A prolific film and TV actor, Rubinstein has appeared in dozens of movies, such as Atlas Shrugged Part II, 21 Grams, Mercy, Red Dragon, and Someone to Watch Over Me and the television shows This Is Us, Parenthood, Desperate Housewives, Crazy Like a Fox, Family (for which he earned an Emmy Award nomination), and many others. His numerous directing credits include the CBS Schoolbreak Special A Matter of Conscience, which won the 1990 Emmy Award for Outstanding Children’s Special. Rubinstein began composing and orchestrating music while he was a student at UCLA. Since then, he’s written, orchestrated, and conducted scores for the films Jeremiah Johnson, directed by Sydney Pollack, and The Candidate, directed by Michael Ritchie (both of which star Robert Redford); Paddy; The Killer Inside Me (the 1976 version); and Kid Blue. He’s also written music for more than 50 TV shows, including Family, China Beach, The Ordeal of Patty Hearst, and the Peabody Award–winning Amber Waves. A devoted educator, Rubinstein teaches courses in auditioning for musical theater and acting for the camera, and he directs the annual spring musical at the University of Southern California. Rubinstein last appeared at the Festival in 2012.